Natural Resources Minister of Canada, Amarjeet Sohi welcomes people in attendance at the Transatlantic Challenge announcement. 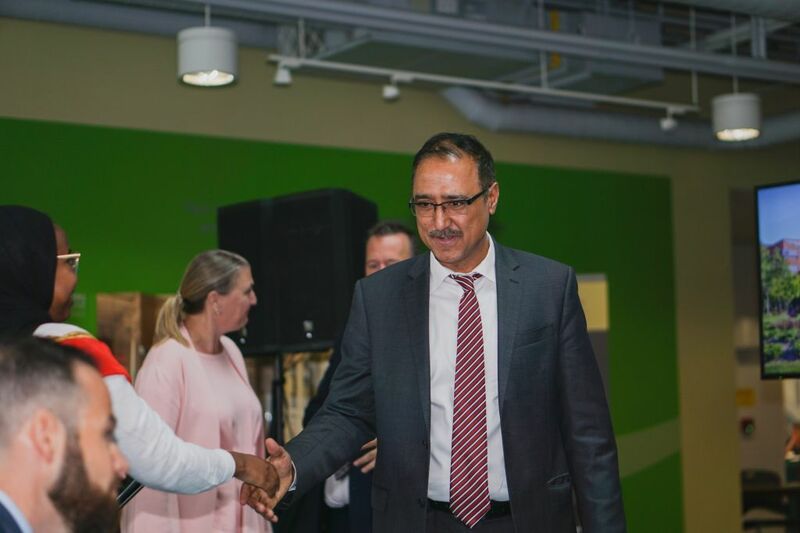 Amarjeet Sohi, minister of Natural Resources Canada and British High Commissioner to Canada Susan le Jeune d’Allegeershecque chose Algonquin to announce the launch of a transatlantic competition intended to create cleaner and greener technologies. The competition is intended to challenge Canadian and British innovators to work on technologies that would turn current power grids into smart energy systems. Last September, prime ministers Justin Trudeau and Theresa May signed significant bilateral agreements, including the Clean Growth and Climate Change partnership and the Memorandum of Understanding on Science, Technology and Innovation. Both nations have contributed $10 million each in investments for the funding of the challenges on creating new technology solutions. Known as the Power Forward Challenge, the competition has been launched with an identical event having already taken place in London, England, with Janice Charette, Canadian High Commissioner to the United Kingdom and British Minister of Innovation, Sam Gyimah. “This isn’t your father’s electricity system, but neither is it your grandchild. It is coming sooner than we can imagine and we need to prepare to embrace it,” said Sohi. 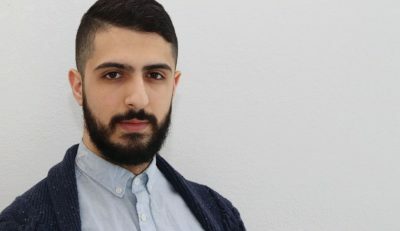 “According to the recently released and very sobering Intergovernmental Panel on Climate Change report we have only a decade to make a difference if we are going to avoid real damage to vulnerable communities across the globe,” said d’Allegeershecque. “We have a shared vision to develop innovative solutions that will deliver affordable clean energy, meet our climate change commitments and boost green growth,” said d’Allegeershecque. 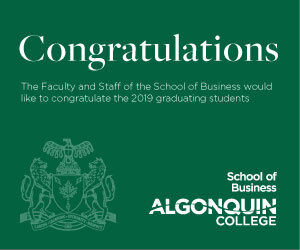 According to President Cheryl Jensen, Algonquin shares the same views on innovation and creating a greener future by challenging future innovators at the college to come together in efforts of the world’s greatest challenge, which is climate care. “What’s kind of cool about being at Algonquin is we get to be part of the types of events,” said Doug Wotherspoon, vice president of Innovation and Strategy. “We are up to the challenge, ourselves of making sure that our students learn through this challenge and are part of this challenge working with industry and government along the way,” said Wotherspoon. Transatlantic energy competition agreement announced at Algonquin Reviewed by Tyrell James on October 19, 2018 .